DAPHNE, Ala. – The United States Sports Academy recently has received high marks on national rankings for academic excellence and for its commitment to helping active duty United States armed forces members and veterans pursue higher education. Best Degree Programs (BDP) recently ranked the Academy as the nation’s number 16 online bachelor’s degree program in sport management. According to BDP, the best sport management programs prepare bachelor’s students for positions within the fitness industry, intercollegiate athletics, professional sports and recreational organizations. The ranking was created using the National Center for Education Statistics (NCES) College Navigator database to combine rankings from Forbes magazine, the Princeton Review, and U.S. News and World Report. The top 30 schools were then ranked by affordability, based on tuition information from College Navigator. The list can be found online at http://www.bestdegreeprograms.org. BDP describes the Academy’s Bachelor of Sports Science degree as a unique program that combines sports science and sports management content. “The United States Sports Academy is ranked by U.S. News and World Report as having one of the best online bachelor’s programs in the country. 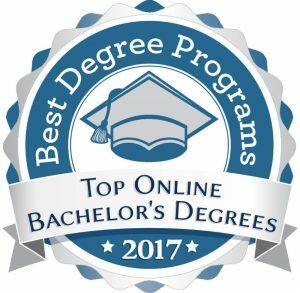 In fact, the online bachelor’s programs rank #114 out of more than 1,200 surveyed programs,” the BDP ranking report states. The Academy has also been ranked as the No. 2 Military Friendly Online School in America, as well as a Gold-Level/Top 10 Military Friendly School, for its commitment and programs to benefit armed forces veterans, active duty military members and their families. 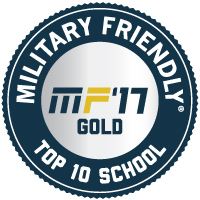 Victory Media, originator of the family of Military Friendly employment, entrepreneurship and education resources for veterans and their families, published its special awards for 2017 Military Friendly Schools and Employers at https://militaryfriendly.com. For more than a decade, Military Friendly ratings have set the standard for companies and colleges demonstrating positive employment and education outcomes for veterans and their families. The Military Friendly program recognized the Academy for its commitment to keeping its bachelor’s tuition below the military Tuition Assistance maximum level. In addition, active duty military members receive a 30 percent discount on tuition for the master’s program and receive an automatic two-week extension for each course. The Academy also accepts Veterans Administration educational benefits, which include the Post-9/11 G.I. Bill, the Montgomery G.I. Bill, Dependents Educational Assistance Program and the Montgomery G.I. Bill (Selected Reserve). The Academy also accepts Chapter 31 vocational rehabilitation benefits. The Academy reduces the per-credit hour tuition to $250 and waives the distance learning fee for active duty military students seeking a bachelor’s degree. Active duty military students may use their authorized tuition assistance through their specific branch as a method of payment toward courses. The Academy supports the needs of military members who are deployed. According to its Military Friendly profile, the Academy exceeds the program’s benchmark standards in all six categories. The Academy exceeds the program’s standard for academic policies and procedures by 95 percent, the financial aid and assistance standard by 89 percent, and the culture and commitment standard by 79 percent. It also exceeds the program’s standards for admissions and orientation, military student support and retention, and graduation and career. The names of awardees are published online at https://militaryfriendly.com and will be printed in the December issue of G.I. Jobs and Guide to Military Friendly Schools. “The United States Sports Academy has a longstanding commitment to providing a high quality sport education, as well as meeting the educational needs of people serving our country in the military,” said Dr. T.J. Rosandich, Academy President and Chief Executive Officer.